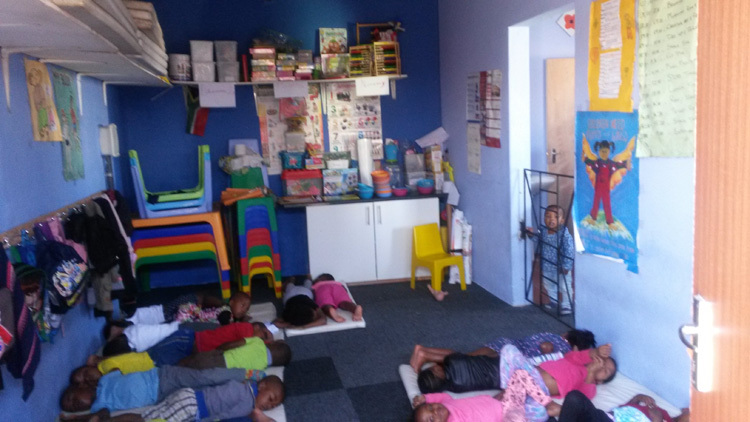 Newkidz on the Block have had a great relationship with Vicky who manages Zanethemba Kidz Haven in Philippi. She is one of the many gems in our community who, despite adversity, keep moving forward. 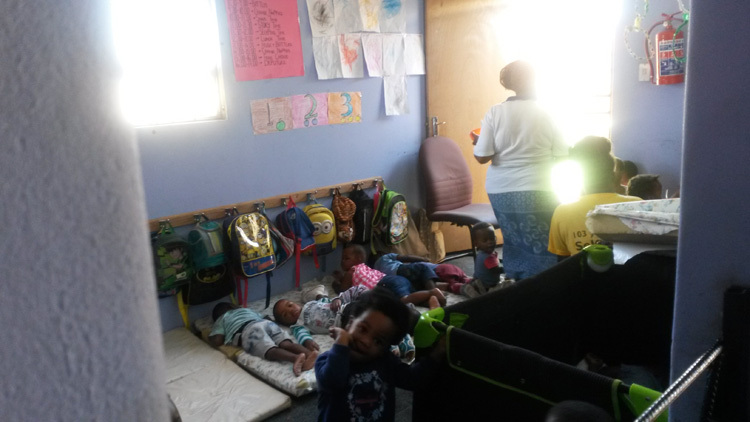 November 2011 with the investment of Investec and their staff, we facilitated the removal of their shack educare and replaced with a large new wooden Wendy House. May 2013 with the investment of Woolworths and their staff, we facilitated interior & exterior maintenance and the installation of a large carport to extend the area of the centre to protect the children from the hot summer sun and shield them from the good old wet winter weather that we experience in the Western Cape. January 2016, a further investment was made. This time from Edge Investments where Newkidz on the Block facilitated the removal of Wendy House and a brick structure was erected for the babies and young children in her care. What a difference! Vicky couldn’t believe it when she received the good news but, as mentioned above, she is a gem who deserves all the assistance she can get. Newkidz on the Block’s vision is to create awareness and support of orphaned and vulnerable children in South Africa. We do not believe in giving the beneficiaries centre a lick of paint and then disappearing but rather to foster a good relationship; continue to network on their behalf and support them with appropriate donations in kind. This is what has been the modus operandi for Zanethemba Kidz Haven since 2011. This Centre looks absolutely lovely, all thanks to these three great companies with foresight.